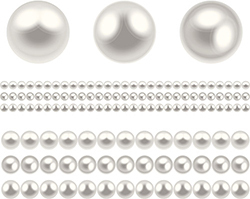 We offer pearl restringing services. Pearls need to be restrung about every 2-3 years to ensure that they are securely fastened. If you have a broken strand of pearls, we can restring them and add new pearls to create a necklace. We also check and replace worn clasps with our restringing service. Your jewelry should be as unique as you are! Custom designs are more affordable than you think. If you have an idea, bring it in and we can turn it into a timeless piece that will commemorate life’s special moments. Not sure what you want, but know that you want something unique? We can come up with a design together. Come in and see our jewelry designers before you purchase something out of the case. Custom engraving services on single or multiple items. We engrave everything from jewelry, to watches pens, ext. Over time, jewelry becomes scratched, bumped, and dull. Polishing your jewelry makes it look like you just purchased it. We offer professional polishing services for diamonds, gold, silver and platinum. Some diamond imperfections can be removed through professional polishing and recutting..
A diamond is forever, but the setting may not be. You can update and completely change the look of older pieces by remounting the stones into a new setting. Remounting allows you to use diamonds and gemstones from several pieces to make a completely new one. We only employ master jewelers, to ensure quality workmanship.